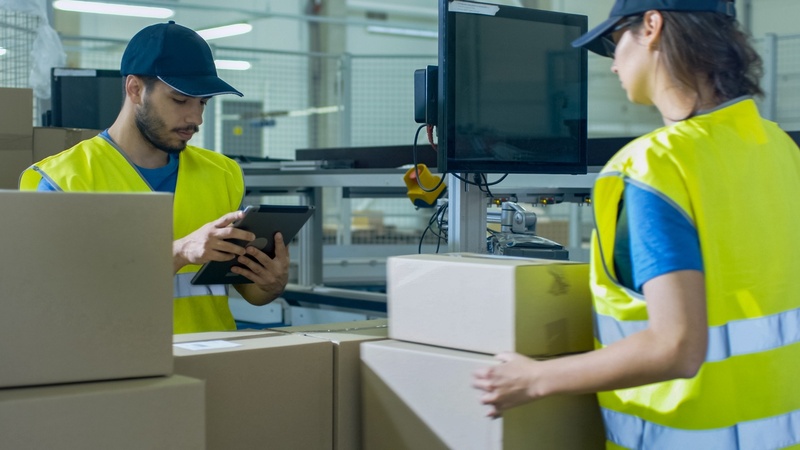 Companies in the warehouse management sector that don't take advantage of new software and IT logistics technologies will be left behind by their competitors, according to leading Australian warehouse management and transport systems company, Paperless Warehousing Group. Recent studies suggest that companies will be spending more than AUD$120 billion a year on software by 2020, with a 22 per cent share of this investment in the manufacturing industryi. John Vercoe, Chairman and CEO of Paperless Warehousing Group, commented on the value of investing in technologies saying; “It was important 30 years ago when we started, but it's more important than ever to keep abreast of new software technologies, within the warehouse management industry in the midst of massive changes in best-practise methods for operational efficiency. "While it may be tempting to stick with the status quo, the reality is that technological advancements are having a huge impact on our industry and frankly, this is a positive thing. From reduced errors and manpower requirements, to improved processing speed, accuracy and capabilities, companies that fail to entertain the possibilities offered by software systems and the latest hardware and equipment do so at their own peril," said Mr Vercoe. Increasingly, companies across the manufacturing spectrum are incorporating new software such as cloud computing, Cyber Physical Systems (CPS) and IT logistics to digitally transform warehouse management. The latest logistics, warehousing and supply chain technologies will be a major focus at CeMAT AUSTRALIA 2018, held in Melbourne from 24-26 July 2018, with Industry 4.0, Logistics 4.0, automation and the warehouse and supply chain all being covered by leading industry experts at the exhibition. The exhibition will examine the enormous impact innovative new technologies will have on the way the Australian materials handling industry future proofs and manages its operations and logistics. Mr Vercoe also commented on the importance of adopting powerful software to remain at the forefront of the industry. “The expanding capabilities of software and the Industrial Internet of Things (IIoT) are drastically affecting the future of manufacturing, warehousing and the entire supply chain, propelling warehouse management into the next revolution of industry, known as Industry 4.0. Mobile and cloud technologies and integrated systems are truly making the manufacturing and warehousing process more productive, cost-and-energy efficient, safer and more streamlined. “We are already seeing IT and cloud software in factories providing new solutions in manufacturing, warehousing and 3PL environments - enabling real-time monitoring of flow and resources, transparency across multiple points and the seamless exchange of operational information. Harvey Stockbridge, Managing Director, Hannover Fairs Australia – organisers of CeMAT AUSTRALIA – commented on the variety of companies set to showcase cloud and IT logistics software at the exhibition this year. “We're absolutely thrilled to have industry-leading companies like Paperless Warehousing at this event. "With over 95% of exhibitor space already sold, CeMAT AUSTRALIA 2018 will showcase more than 100 international and local companies who are utilising innovative technologies including robotics and IIoT to transform the warehouse processes,” said Mr Stockbridge. CeMAT AUSTRALIA showcases companies at the forefront of the materials handling and intralogistics industry offering a range of solutions, products and services that will help organisations increase efficiencies and maximise ROI in their warehouse or distribution centre. CeMAT AUSTRALIA will bring together the latest technology in logistics, warehousing and supply chain. Visitors will be from a wide variety of industries including FMCG, retail, 3PL and resources. CeMAT Australia will be held at the Melbourne Convention and Exhibition Centre, 24 - 26 July 2018.